Join Mote Marine Laboratory for the fourth annual Sarasota Lionfish Derby, which invites scuba divers to compete for more than $3,500 in cash prizes by netting or spearing lionfish in an effort to control the spread of this invasive species. The derby will take place from July 7 to 9 with its home base at Mote, 1600 Ken Thompson Parkway in Sarasota, Florida. This derby is the first of four in the 2017 Summer Lionfish Derby Series coordinated by Reef Environmental Education Foundation (REEF). On July 9, approximately six culinary partners will compete to prepare the best lionfish dishes during the derby’s public event at Mote. Details are below. Register for the Sarasota Derby or others in the summer series: www.reef.org/lionfish/derbies. Mote Marine Laboratory, a world-class marine science institution, will host the Lionfish Derby in cooperation with REEF, which helps study and address the lionfish invasion and sanctions official Lionfish Derbies. The Indo-Pacific lionfish (Pterois volitans) has invaded coastal habitats of the western Atlantic Ocean over the past two decades and has the potential to cause major ecological changes in reef fish communities. These efficient predators are venomous, reproduce frequently and year-round, and they pose a major threat to Florida’s native species and ecosystems. They consume more than 70 different species of fish and crustaceans, and in heavily invaded areas they have reduced fish populations by up to 90 percent and continue to consume native fishes at unsustainable rates. The only controlling predators of the invasive lionfish in Florida appear to be humans — and the fish are delicious to eat. Lionfish Derbies are an important way to educate and encourage divers and snorkelers to harvest large numbers of this invasive species, which has spread along the eastern Atlantic coast, through the Caribbean Sea and Gulf of Mexico. The 2017 Sarasota Lionfish Derby is designed to support the research efforts of Mote scientists and their partners. Each lionfish harvested can provide scientists with valuable data such as length, weight and stomach contents. Identifying the stomach contents is of particular interest, because it can help scientists identify whether the lionfish are consuming commercially or recreationally important species. This year’s data will build on the data collected from the 2016 Sarasota Lionfish Derby. Collecting data on the lionfish population year after year helps scientists understand aspects of the population dynamics and their impact on native species. The Sarasota derby will include a captains’ meeting on July 7, lionfish hunting on July 8 in the Gulf of Mexico from Collier County to Escambia County and the lionfish weigh-in and awards ceremony on July 9. Teams can net or spear lionfish while scuba diving or snorkeling alongshore or offshore. Teams must arrange their own boat transportation and gear. The captains’ meeting is mandatory for at least one team member and will be held from 6:30 to 7:30 p.m. Friday, July 7, in the WAVE Center auditorium on the first floor of Mote’s main campus (abutting Mote Aquarium). The meeting provides Derby rules and important information on how to collect and handle lionfish properly and safely. People handling lionfish are strongly encouraged to wear gloves for protection against stings from the venomous spines. At the captains’ meeting, REEF will have puncture-resistant gloves for purchase at discount for Derby participants. 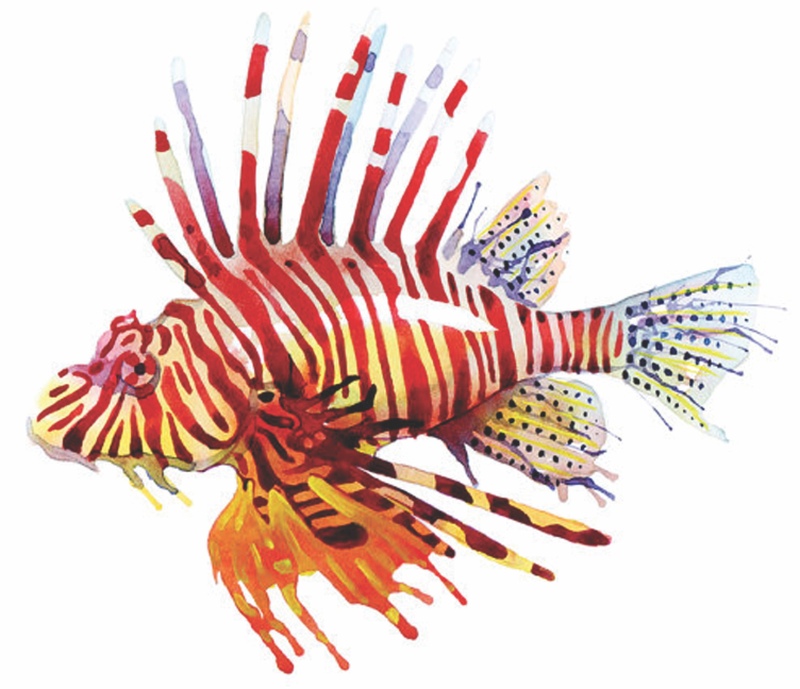 Lionfish removals will take place from the end of the captains’ meeting until the weigh-in and scoring, which starts at noon on Sunday, July 9, at the Sarasota Outboard Club (1763 Ken Thompson Parkway, Sarasota, FL 34236), adjacent to Mote. The public event will culminate with an awards ceremony running through about 3 p.m. More than $3,500 in total cash prizes will be awarded for first-, second- and third-place winners who catch the most lionfish, the largest lionfish and the smallest lionfish. Winners will be announced after weigh-in. Registration is required. Register for the Sarasota Derby or others in the summer series: www.reef.org/lionfish/derbies. Registration is $120 per team, and teams must include two to four people. Questions about hunting lionfish? Contact Marie Diaz atMarie@REEF.org. New this year: A lionfish cooking competition! Starting at noon on Sunday, approximately six culinary partners will prepare special lionfish dishes and participate in a cooking competition. The public is invited to sample and vote for the best dish. Cost is $10 per person to attend the entire tasting. Tasting tickets must be purchased in advance at www.mote.org/lionfish. The Sarasota Lionfish Derby is looking for sponsors! View the sponsorship options here. Contact Kate Knepper at kknepper@mote.org for details.